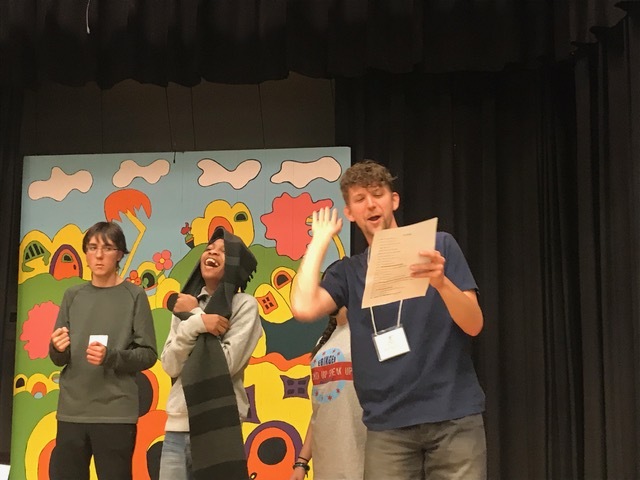 We’re just a few weeks away from our teen ensemble’s shows at Chicago Shakespeare Theater. We’re so excited to share our work with an audience, and doubly excited that so many new faces will be joining us onstage this season. Before you see the show, get to know one of our newest facilitators, NATE! Why did you start volunteering with ABLE? 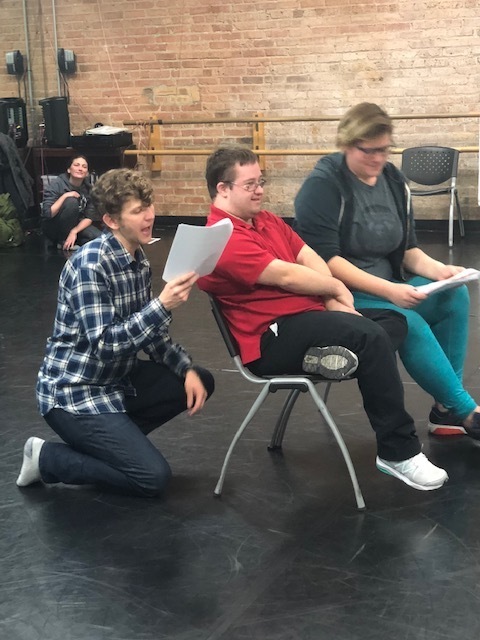 I heard about the kind of work that ABLE was doing and went and saw their beautiful work in Twelfth Night at Chicago Shakes and immediately knew that I had to work with them. Theatre and disability is such a big part of my life and I feel like home when I’m doing that kind of work. What’s your job when you’re not with us? I work in a bunch of different and creative jobs. I am a teaching artist teaching theatre with Lifeline Theatre and also working with Special Gifts Theatre doing Barrier Free Theatre. I work at Northwestern and UIC Medical Schools as a Standardized Patient which is super fun. I’m also a mascot artist at the Shedd Aquarium. I really love to read!! I also quite enjoy anything athletic and outdoorsy including but not limited to running, frisbee, hiking, biking, etc. Well, it wouldn’t be hidden if I told you, would it? I believe I have the ability to find something positive in any situation. Neil Patrick Harris. I love how versatile of a performer he is. He can sing, dance, and play so many unique and believable characters. I would definitely use some of it to create my own Barrier Free and Inclusive Theatre and also use it to travel the world! Oooo that’s a hard one! I will honestly dance to anything with a good beat. I’m not a picky dancer! I sing Tenor, LOVE to move and dance. I am a puppeteer, physical theatre performer, and have created leather masks and performed with them. I also enjoy the circus arts and can juggle, spin plates, as well as stilt walk. I am a teaching artist and teach all age groups, but prefer the little ones. I was my collegiate mascot at Butler University! GO BULLDOGS! I studied in Australia. for bringing your positive energy and big heart to our team! Monday December 17th at 7pm Upstairs at Chicago Shakespeare!